In a recent interview with Bravo, Porsha Williams dishes on this week's episode of The Real Housewives of Atlanta. 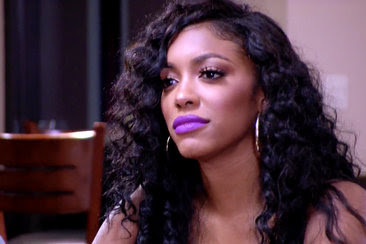 Porsha Williams dishes on laser tag and the argument between Kenya Moore and Sheree Whitfield. Check it out! Bravotv.com: Did you enjoy playing laser tag with the ladies? Porsha Williams: OMG, I had so much fun! Some of the best moments on the show are when we stop talking about our personal lives and just start acting a fool and having a good time. It was a great distraction from the pettiness. PW: I was sitting there bored... I feel like I have heard all those tired reads before. It just gets old, so I decided to dig into the food. I honestly don't get this ongoing rivalry between them. Why can't they just be glad and congratulate each other for achieving their dreams and owning a home? I was hoping they would get tired and let it go, but that didn't happen. Bravotv.com: What did you think when Kenya called you guys out for eating during the confrontation with Sheree? PW: Girl hush! If we have to sit here and listen to children bickering back and forth, we should at least get to enjoy the tasty treats! LOL! What do you think about Porsha’s blog? The Real Housewives of Atlanta airs Sunday nights at 8/7c only on Bravo. For International TV Listings click here!